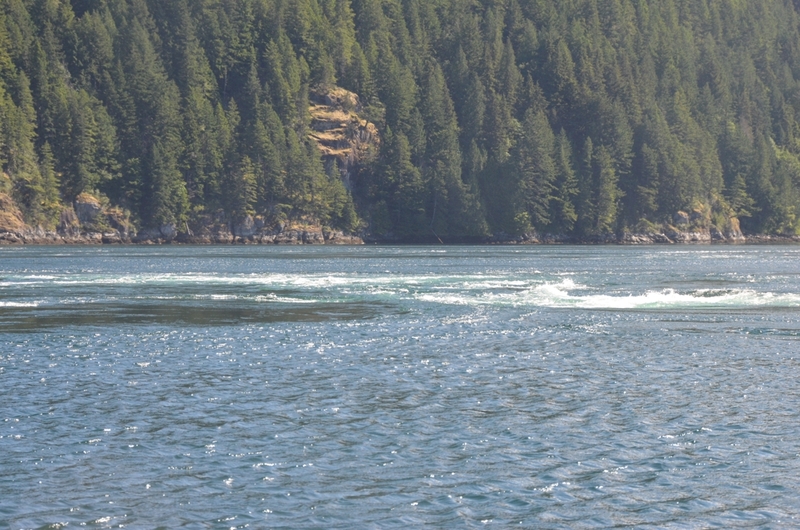 Johnstone Strait is windier than forecast, so my destination today is Blind Channel. In order to get to Blind Channel I have to transit Gillard Passage and Dent Rapids. Slack water is early in the morning (~6 am, turn to ebb) and around noon (turn to flood). Since I’m heading north, the turn to ebb is preferable since I’ll get a boost from the current the whole way to Blind Channel. The ebb today isn’t that swift; only 6.5 knots. And I’ve been told the ebbs are smoother and easier to navigate than the floods. Since I’m traveling in a small, maneuverable planing-hulled boat I decided to go through the rapids with the current running! I left the Stuart Island dock a little before 9:00 am, right at the time of max ebb. I started into Gillard Pass at displacement speed, just to see what it was like. Lots of swirls and upwellings, but few major whirlpools, overfalls, etc. Still, I didn’t like going slowly through the rapids. The boat responded slowly to steering corrections, and they were constantly needed. So I sped up. 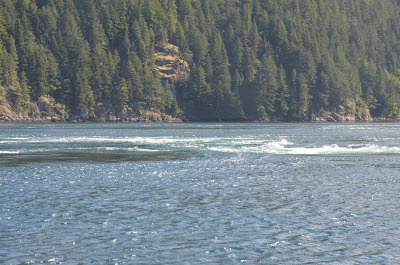 Once on plane, everything was easy, much like going through Deception Pass when the current is running. Still, I DON’T RECOMMEND ANY BOATERS TRANSIT RAPIDS ANY TIME OTHER THAN SLACK WATER. This was the only whirlpool I saw, and it was easy to steer around. After getting through the rapids I slowed to displacement speed and putt-putted my way to Blind Channel. This is a beautiful area, and the sun was shining once again. Blind Channel is a neat spot and a well-run marina. Trails lead through the forest. One trail leads to a massive, 800-year-old cedar tree. 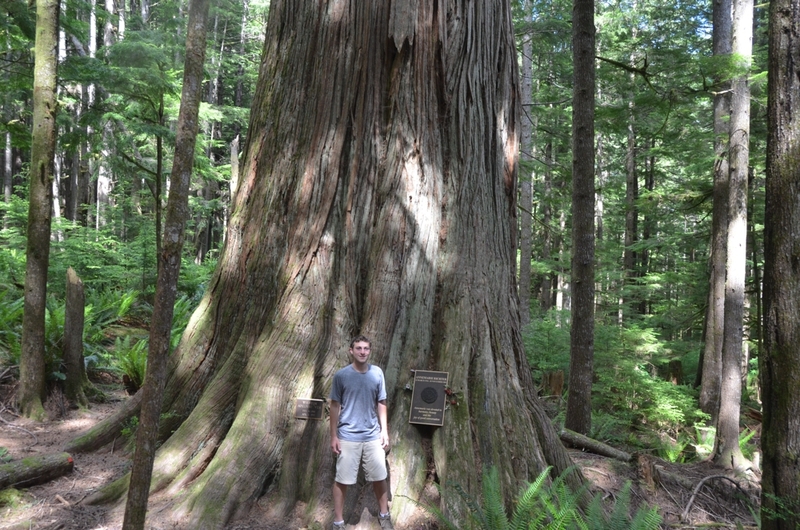 Here I am with the massive, 800-year-old cedar tree. Only one other boat was at the dock when I arrived. The owners of that boat, Wayne and Pam, are from Squamish, and they built the 44-foot En Spiritu themselves. It’s a beautiful boat (I wish I had taken a picture…). Tonight is the first night the Blind Channel restaurant is open, and I enjoyed dinner with Wayne and Pam. The food is good and the view from the restaurant is wonderful. 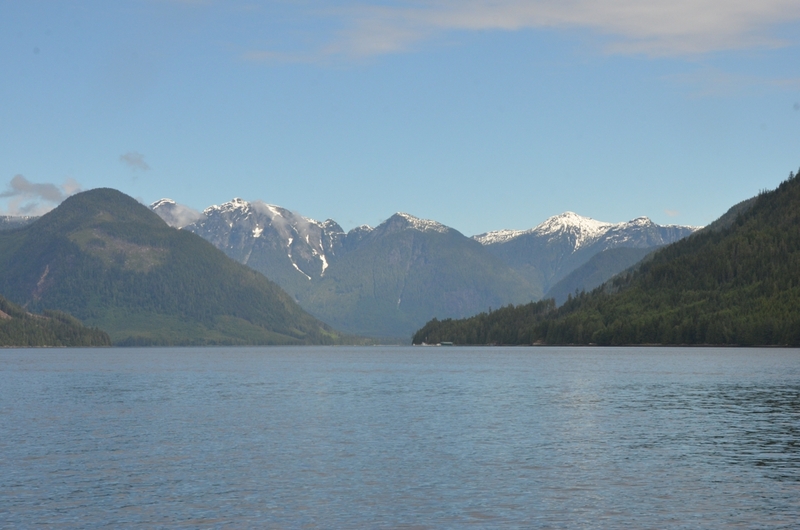 The weather tomorrow looks good for the trip up Johnstone Strait. Today, I’m sure, was terrible. Winds up to 30 knots! The same applies for the two streets in regards to the night movement rawalpandi. The Islamabad Bypass Road is another great alternative for those less experienced driving in Islamabad. Rent a car from Islamabad airport Moreover, know that some disarray about street names may result because of slight contrasts in transliterated spellings and that the on-going development may make finding your goal to a greater extent a test than arranged.